Declining activity across the first three months of the year foreshadowed 2014's first quarter losses, off -5.4 percent. Year-over-year U.S. application activity for individually underwritten life insurance edged down 4.4 percent as of March, according to the The MIB Life Index. Declining activity across the first three months of the year foreshadowed 2014′s first quarter losses, off -5.4 percent as compared to the first quarter of 2013. 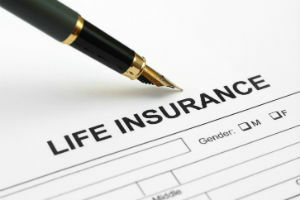 The MIB Life Index has marked declining life insurance application activity for the past 12 consecutive months. March activity was +3.9 percent higher than that of the previous February. The MIB Life Index is the life insurance industry’s timeliest measure of application activity in the United States. Released to the media each month, the Index is based on the number of searches MIB life member company underwriters perform on the MIB Checking Service database. U.S. life application activity by age group mirrored the composite Index, with ages 0-44, off -5.3 percent; ages 45-59, off -4.7 percent; and ages 60+ off -1.0 percent. March declines by age group were on par with those occurring in February 2014. For the first quarter 2014, activity was off -6.3 percent for ages 0-44, off -6.0 percent for ages 45-59, and off -1.7 percent for ages 60+. The long-term trend line shows age groups 0-44 and 45-59 in negative territory for 12 consecutive months trailing. Ages 60+ show mixed gains and losses during that time, with the absolute decline far less steep.